Fisheries Report 169 – Are Fishos getting sold a dud by Fisheries Department on fishing and sanctuaries / marine parks? It is being claimed in the media by some that a recently released report from the Fisheries Department “The efficacy of sanctuary areas for the management of fish stocks and biodiversity in WA waters”, counters the increasingly strong arguments for marine sanctuaries, or sanctuary zones in marine parks, as a necessary tool in biodiversity protection and a valuable tool in fisheries management. As discussed below, these claims are not true and don’t do justice to the serious concerns amongst many fishos about the future of fish stocks, fishing and the marine environment. The report authors themselves, in the direct quote below, acknowledge that there is evidence of benefits for biodiversity from a network of marine sanctuaries, but debate around the benefits for fisheries management. What is not acknowledged in the report; however, is that the debate on fisheries management is increasingly swinging towards an acceptance of the benefits of marine sanctuaries in providing valuable research areas, insurance against mistakes and often spill over benefits to neighboring fisheries. Other recent reports based on a wide search of the latest literature back this view that the benefits side of the ledger is increasingly in favour of marine sanctuaries – meaning sanctuaries are highly likely to play an important role in recovering the quality of recreational fishing in WA (links to three examples here here here ). The case for fisheries benefits from marine sanctuaries is especially strong in areas where fish stocks are overexploited – which is the case in WA and this is acknowledged by the Fisheries Department in separate documents . Below is the above mentioned quotes from the Fisheries Department report. The benefits listed in these other reports are acknowledged, but the report then tries to argue that they are not applicable to WA. Further, the report claims that “In terms of benefits, whilst there is no doubt that sanctuaries often result in an increase in the local densities and sizes of some species (i.e. those that are not highly migratory), this does not automatically equate with improved fish production potential at the whole of stock level or even increased biodiversity. In WA there are few species with breeding stock levels that are reduced to a point where the increased egg production generated from a general sanctuary zone is likely to measurably improve their recruitment”. 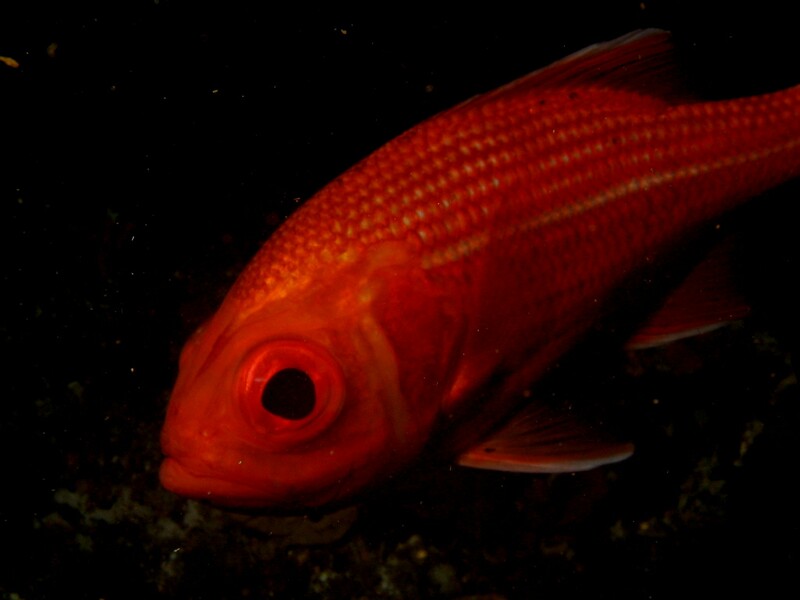 Firstly, the few species mentioned that have low enough stock levels to benefit from sanctuaries actually happen to include the most economically important fishery in Australia – MSC certified and recently hailed as the best managed fishery in the world; the western rock lobster fishery ; and the iconic recreationally targeted species like Dhufish, Baldchin Groper, Breaksea cod and Pink and Red Snapper. In the case of rock lobster around 100 boats dropped out of the fishery in the past year, and larval recruitment is down to close to 1% of historical averages. A lack of broodstock (egg production) is one of the prime concerns because environmental factors alone have not yet been able to explain the decline. In the case of the recreationally targeted species, the ‘vulnerable five’, rec fishos have already been taken off the water for 2 months of the year and – in the case of dhufish – bag limits have already been reduced to one fish. There is serious concern about the ability of dhufish stocks to recover unless fishing effort is reduced by at least half. In other words, some of WA’s most important fish stocks have reduced to a point where well designed marine sanctuaries would be likely to aid their recovery. The other claim that has been jumped on by some commentators is that there is no evidence from WA that marine sanctuaries work. This is not quite true, there is evidence starting to emerge from Ningaloo Reef of benefits to both biodiversity and fishing and to the local economy. Ningaloo Reef is one of the few areas of the WA coast with a network of sanctuary protection. But with less than 1% of the coast protected (and most of this in Ningaloo Reef Marine Park) there are so few examples of marine sanctuaries that this evidence would be impossible to produce for much of the coast. Simply put, if you demand local evidence then you need local sanctuaries – a nice circular argument for those who never want to see a sanctuary in WA. However, the absence of this information is not an argument against sanctuaries, it simply suggests we should look elsewhere and make reasonable assumptions that the incredible benefits found in similar environments around Australia and in New Zealand would also be realised in WA. The report also demonstrates outdated thinking in its claims that “ marine habitats, and therefore a large proportion of the biodiversity in WA waters, are highly protected from negative fishery impacts compared to nearly all other locations in the world ”. This is because WA has a limited area of trawl fishing. However, this thinking ignores the well documented proof that overexploitation of key fish stocks, particularly the large predators that are so often targeted by fishing pressure, has had fundamental negative impacts on biodiversity, ecological communities and even physical habitats. There is little real understanding of thee effects in WA waters; principally because there are so few marine sanctuaries. However, evidence from elsewhere suggests that there are significant impacts. For example studies on the Great Barrier Reef show better control of coral eating Crown-of-thorn outbreaks in sanctuary zones , and evidence from NZ shows that the large snapper and crayfish in sanctuary zones reduce the occurrence of kelp destroying urchin outbreaks which create large low productivity ‘urchin patches’ on areas of former kelp reef. This is simply because the larger predators are capable of eating the larger urchins, when these larger animals are removed, the urchins take over and eat away the kelp forest. People and particulaly fishos should be very careful in considering arguments that this report makes a case against sanctuaries. The question each person should ask in considering this debate is: how good is the fishing, diving or marine life compared to 10 years ago, 15? 20? I know personally I got into marine conservation when I saw the fishing and diving in WA go downhill during the 90’s, particularly in my old favourite holiday destination of Geographe Bay. WA has a unique marine environment and lifestyle that is appreciated by conservationists, diver and fishers alike. Our unique marine environment and our great fishing and marine lifestyle deserves better than what we have given it in the past, and a network of marine sanctuaries will go a long way to giving us better. Sanctuaries are not a silver bullet, but they must be at the heart of the management regime that is required to ensure a future for our fishing and our marine life. This entry was posted in Uncategorized and tagged Havens not only solution, marine parks, recreational fishing, Sanctuaries, save our marine life, Sunday times. Bookmark the permalink.